Investors hunting for deals should look to the apartment sector as new data highlights a huge difference in median prices for apartments and houses. 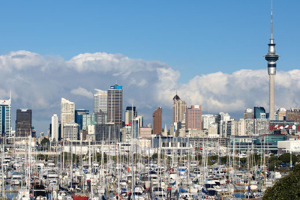 New Real Estate Institute of NZ (REINZ) research shows that property buyers could save significant amounts of money if they choose an apartment rather than a house in almost all Auckland suburbs. Apartments in higher end suburbs like Parnell, Epsom and Takapuna can cost over one million dollars less than a house. In Parnell the median apartment price in 2017 was $772,500, as compared to the median house price of $2,067,500 – a difference of $1,295 000. In Takapuna the median price of an apartment in 2017 was $817,500, as compared to the median house price of $1,870,000 – a difference of $1,052,500. Many of Auckland’s entry-level suburbs also have apartments on offer for significantly lower median prices than houses in the same area and this means there are more affordable deals to be had. In East Tamaki the median price of an apartment in 2017 was $525,000, as compared to the median house price of $1,052,000 – a difference of $527,000. In Mt Wellington the median price of an apartment in 2017 was $417,500, as compared to the median house price of $860,000 – a difference of $442,500. New Lynn, Manukau and Albany also all have median apartment prices well below $600,000 which are significantly below that of the median house prices in the area. REINZ chief executive Bindi Norwell says buying an apartment rather than a house is a much more affordable way of getting into some of these areas. Not only have apartments come a long way in recent years with eco-friendly/energy saving features and extensive communal areas, but they are usually close to public transport and other amenities, she says. Orewa was the only Auckland suburb to buck the median price trend: the median apartment price in the area in 2017 was actually $11,500 more than for a house. While the majority of apartment sales are in the Auckland market, the REINZ data also finds that apartments in other parts of the country often tend to be cheaper than houses. In Wellington’s Mount Victoria and Thorndon, the median apartment prices in 2017 were respectively $719,750 and $467,328 less than the median house prices in those areas. In Papamoa Beach and Mt Maunganui the median apartment prices in 2017 were respectively $258,000 and $157,000 less than the median house prices in those areas. And in Queenstown the median apartment price in 2017 was $894,000 less than the median house price – which was the biggest difference outside the Auckland region. However, in Tauranga and Christchurch, apartments actually cost more to buy than houses.